Photo: Aerial view of a city on a small island. 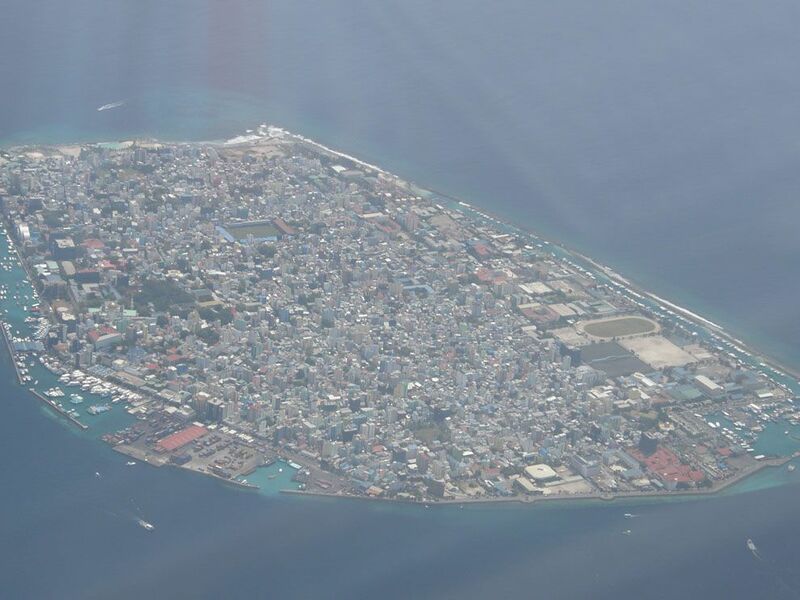 Male, Maldives, is the world's smallest capital, only about 6 square kilometers (2.2 square miles). In the 20th century, Maldivians expanded the atoll on which Male sits through dredging and landfills.